A Ring Pro video doorbell is more than just a doorbell. It’s a doorbell, a security system, and a doorman all in one. With a Ring Pro, you can answer your door from anywhere. 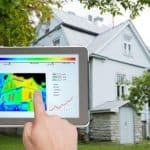 You can monitor your front door and yard from anywhere. It gives you security and peace of mind at a fraction of the price of a more conventional security system. Over the past couple years, Ring has established their place as a leader in the video doorbell niche. The Ring Video Doorbell Pro upped the video quality and improved the motion detection over their previous version. It’s smaller, sleeker, and more customizable to fit your home’s appearance. You will get notifications when someone rings your doorbell or when there is motion detected at your door. The Ring Pro is also an on-demand home surveillance camera. You can access a live video and audio feed anytime you like from the app. It’s Ring’s latest and best video doorbell and if you’d like to learn more, read on. How Is The Ring Pro’s Video Quality? The Ring Video Doorbell Pro delivers full-color 1080p video. You will have no problem recognizing faces or whether your visitor has any facial blemishes. Its field of view is 160 degrees horizontal and 100 degrees vertical. Because of the wide angle, you will get a little distortion (similar to but not as extreme as a fisheye lens) on the edges but the majority of the picture is useful. The Ring Pro uses infrared LED lights to illuminate the night. The result is a clear gray-scale picture. Long gone are the days when you need to pay thousands of dollars for nice night vision capability. Granted, it’s not military grade, but you could hardly tell the difference between the Ring Pro night vision video and a daytime video shot in gray-scale. Getting the night vision right is a huge deal. A big selling point of the Ring Pro is the added security. Most attempted burglaries will happen under the cover of darkness so a quality night vision system is essential. Some users have experienced problems with “difficult” lighting situations. If you’ve ever tried to take a picture with the sun in the background, you’ll know what I’m talking about. Many people have a covered porch. The lighting directly in front of the door and the doorbell is relatively dim from the shade of the roof. But, beyond the shaded area, it may be full daylight. The Ring Pro is designed to focus on the nearby objects in the darker area. This causes the nearby image to look fine, but it will overexpose the brighter areas beyond the shaded area. All the focusing and aperture controls are done automatically so you’ll just have to deal with whatever the Ring thinks is best. The high-quality video feed does require a good WiFi and internet connection to work well. If your connection isn’t quite up to speed, you will probably experience choppy video and long delays between activation and notification. Ring recommends at least 2Mbps for reliable video. If your WiFi coverage is a little sketchy, you may want to look into getting a WiFi extender. Ring has their Ring Chime Pro (available on Amazon) that is both a WiFi extender and doorbell chime in one. The Ring takes the long way around for data transfer getting to your smartphone. First, the Ring sends the video via WiFi to your home router. Then, the router uploads the feed to the Ring cloud servers via your internet connection. Finally, your Ring app downloads the feed from the Ring cloud servers. If any of those steps is too slow, you will experience poor video quality. How Is The Ring Pro’s Sound Quality? Not only can you see who’s at your door, but you can talk to them too. The Ring Pro features two-way audio so you can give your visitors instructions without even coming to the door. You could even use it to issue a warning to a would-be intruder or someone who seems to be a little too curious. The audio quality is quite good. It’s certainly better than any scratchy intercom that you might imagine. One problem it has is it tends to pick up background noise a little too easy. It can be difficult to hear someone talking if there happens to be a delivery truck idling nearby. There is a noise reducing function that helps this problem, but then the audio comes out too quiet. Can I Save My Recordings? 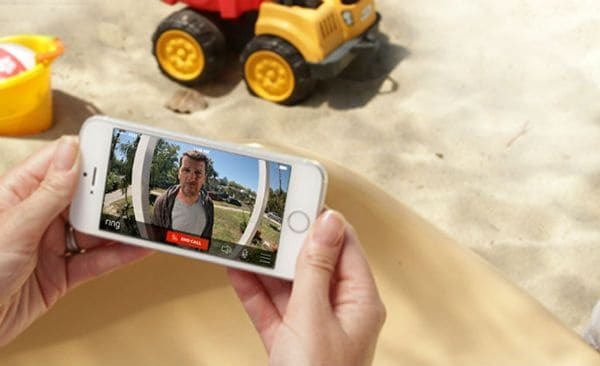 Ring offers a cloud recording service for your video doorbell. All actions are recorded for you. Doorbell presses, motion activation, and on-demand recording will be uploaded to the cloud for further review. You can also share videos with family or friends. The Ring cloud recording service is an optional service. You get a free 30-day trial of the cloud recording service when you set up your account. But, after that, it costs $3/month or $30/year. Your video doorbell will work just fine without it. You just won’t be able to go back and review footage. Personally, it annoys me when companies make products like this that don’t have local recording capabilities. I would like to be able to save the video on my own computer without uploading to the cloud. I would save the $30/year and wouldn’t have to rely on 3rd party servers to be online. But, not everyone has the technical ability to set something like that up and it seems that everything is going the way of the cloud nowadays. How Does The Ring Pro’s Motion Detection Work? The Ring Pro’s motion detecting system can remotely trigger a recording and notification to take place. It doesn’t necessarily require someone to press the doorbell. You may even get the notification before the visitor presses the doorbell. How creepy would be if the doorbell says to the visitor “How may I help You?” right before they press the doorbell. The Ring Pro has the most advanced motion detection system for video doorbells. It allows you to draw custom sized and shaped zones. You can then decide which zones will trigger notifications and recordings. This should help you weed out notifications so you only get them when someone is at your door or rummaging around on your porch. You probably don’t need to be notified every time your neighbor takes his dog for a walk. The motion detection on the Ring Pro uses image analysis. It takes a snapshot of the area and then compares it to past snapshots. If the snapshots are sufficiently different, it assumes something is moving and it triggers an alert. Shortly after its release, many people were having problems with excessive false alerts, especially at night. People were reporting notifications caused by blowing leaves, birds, and even bugs. 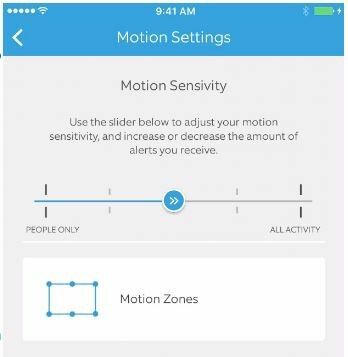 Since then, Ring has released an update that allows you to adjust the sensitivity of the motion detector alerts. Can I Install The Ring Pro Myself? The Ring Pro comes with all the necessary hardware for installing the video doorbell. It even comes with a masonry drill bit in case you are installing in an area with brick or stone. You’ll need to provide the drill, though. This version of the Ring requires a hardwired power source. It does not contain a battery. If you already have a wired doorbell, the Ring Pro will be compatible with standard doorbell installations. It can be wired to your existing doorbell chime as well. And, if for some reason you need a chime or want a different one, you can look into buying one of Ring’s chimes instead. They sell the Ring Chime which is just a chime. And, they sell the Ring Chime Pro which is both a WiFI range extender and a doorbell chime. The Ring Pro requires the use of WiFi. 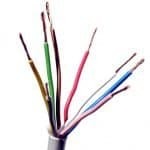 There is no support for CAT5 or CAT6 ethernet cables. There are no plans for PoE either. It comes with four different interchangeable face-plates so you can choose the one that best matches your home. The Ring Pro comes with all four Face-plates. The original Ring made you choose just one. 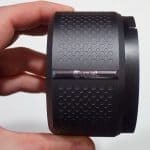 How Durable Is The Ring Pro? The Ring Pro is made to withstand the elements. It should not be damaged by heat, rain, sleet, or snow. You can rest easy with your purchase. It comes with a 1-year warranty and a 30 day no questions asked refund policy. The Ring Pro also comes with lifetime purchase protection. If it gets stolen, all you have to do is provide Ring with a police report and they will send you a new video doorbell free of charge. Does The Ring Pro Make Your Home More Secure? Follow Ring on Twitter or check out their website and you’ll be treated to all kinds of videos showing would be burglars being scared off by Ring products. Let’s be honest. Video doorbells don’t provide world class security. It’s just an extra layer of peace of mind. If someone is determined enough to get into your home, neither a surveillance camera nor a deadbolt is going to stop them. Most criminals are opportunists. The majority of burglars are just out looking for low-hanging fruit and if a doorbell starts talking back to them you can bet they might fill their pants and scurry away. If you don’t have any video surveillance right now, the Ring will be a big step up for security. Every time someone even approaches your door, you will have a notification at your fingertips. Add in the cloud recording and you have video evidence of anything that does happen. I think the best evidence that the Ring Pro is a worthwhile security device come from American Family Insurance. They have partnered with Ring to offer discounts on homeowner’s insurance policies to customers that install a Ring video doorbell. Part of the deal includes a deductible reimbursement if your home is burglarized. That means Ring will pay your homeowner’s insurance deductible if you are burglarized. Now that’s putting your money where your mouth is. Why Should I Buy Ring Pro Vs Ring? The original Ring is still available for sale and it’s a little cheaper than the Ring Pro. The main improvements of the Pro version are improved motion detection and higher quality video. Also, the Ring Pro does not use a battery so you don’t ever have to worry about charging the battery in your doorbell. But, if you don’t have a hardwired doorbell, you may need the battery. 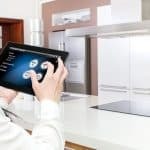 One by one, smart home technology is breathing new life into home devices that have hardly changed in decades. Thermostats, doorbells and light bulbs are getting 21st-century makeovers and it’s great. A video doorbell can improve your home’s security and give you peace of mind. You will be able to answer or monitor the door from your couch, the office, or even on vacation. You can avoid missing that important delivery or avoid hurrying to answer the door just to find out it’s some annoying solicitor or other undesirable. 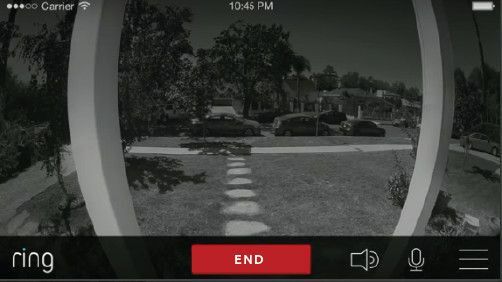 The Ring Video Doorbell Pro has top of the line video, audio, night vision, and motion detection. It has doorbell notifications, motion notifications, and on-demand live feeds. It even comes with four different finishes so you can choose which fits your home best. The only drawback for some people may be the recurring fee for the cloud recording service. Ring is an industry leader, and the Ring Pro helps to cement their place up top. The Ring Video Doorbell Pro is available for purchase at Amazon. Did my article answer any questions you had? Or are you just more confused? Feel free to ask any questions in the comments below. I love striking up a conversation with my readers!